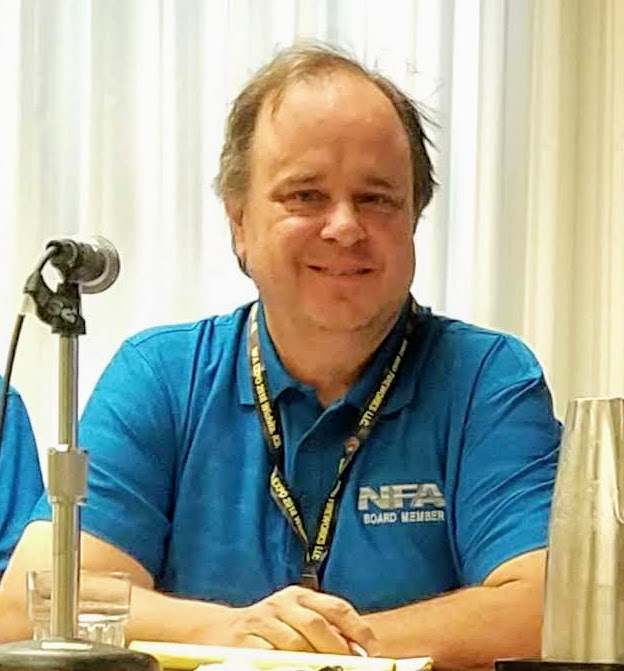 Don Lantis was appointed President of the NFA in March 2014 after the passing of President Cam Starr, “Some very large shoes to fill.” Don served as the first Vice President of the NFA, 20 years ago, when the NFA was first organized and has been an active member ever since. 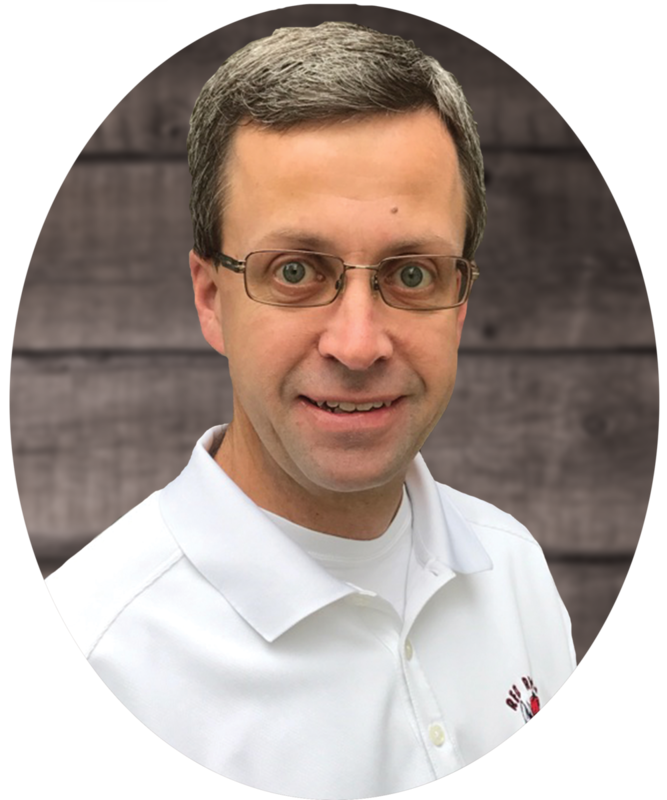 He helps John Blogin with the fabulous NFA Trade Show making sure everyone has what they need to make it the great success that it is. He is also responsible for finding locations that will accommodate meeting rooms, trade show, demo sights, and affordable motels. He has been a member of APA for 36 years. His family started in the fireworks business in 1945. Don and his wife Reta own and operate several fireworks stores across South Dakota along with a wholesale plumbing parts company. “I am a Founder and Charter member of the NFA (National Fireworks Association). Helped fight the battles in court to help get 500 gram cakes legal on USDOT & CPSC issues. Having worked with all of the past and present officers of the NFA since its inception so my moving into this position should be an easy transition. I have served as the NFA representative to the NFPA for the last 20 plus years on the Pyrotechnics codes committee as a principal member on NFPA 1122, NFPA 1123, NFPA 1124, NFPA 1125, NFPA 1127, NFPA 1128, NFPA 1129 an alternate member on NFPA 1126 code which I helped write initially while representing the National Fireworks Association on fireworks issues. Nancy Blogin assumed the office of secretary in 1998. Nancy and her husband John have been involved in the fireworks business for many years. Nancy has managed their retail location for over 20 years. Nancy retired from Mercantile Stores, Inc. after 22 years as an Accounting Supervisor. She is well organized and brings insight into problems the consumer fireworks industry experiences. Nancy is a people person and has greeted the guests at the Expo registration desk ever since the Expo’s began. She is also a member of the following associations: PGI, WPA and the Kansas Pyrotechnic Association. Nancy has been on the Board of the National Council for Fireworks Safety for several years and has served as President of the NCFS since 2010. Nancy’s hobbies include gourmet cooking, entertaining and travel. • President and CEO since 1985. • Charter Member since 1993. • Organizer, raised $47,000 for the Wounded Warrior Project in one evening. • Charter Member since 1990. As most of you know I came to fireworks from the banking industry in 2004 where I spent 13 years in commercial banking and bank consulting, travelling across the country, serving hundreds of clients and working with multiple regulatory agencies along the way. What you probably don’t know is that my first job in the fireworks industry was as a summer employee at a Class B wholesale and display company. I spent three summers working there from 1989-1991. After those long hot summer days concluded I was a Class B shooter for the display company side until 1998. At that time my banking career started taking more and more of my time and I was starting my family with my wife. I got back into fireworks in the fall of 2004 when things came full circle for me and I wound up as the Executive Vice President and director of operations of the very same wholesale and display company that I spent those summers working at back in college some 13 years before. The industry had changed much since then and that change continues today. I moved out of the Class B realm of fireworks in 2007 and took over the wholesale portion of a local Class C fireworks company in Joplin, MO, Crazy Debbies, now known primarily as Red Rhino Fireworks across the country. Since then I have been here in the consumer fireworks business working every day, and acquired Texas Outlaw Fireworks in Silsbee, TX in 2013. I have been a member of the NFA since my entry into the consumer fireworks industry and attended my first Expo in Cincinnati in 2007, never missing one since. So much has changed in the last 10 years, for better or worse some may say, but this fireworks life I have chosen has been a wonderful ride and I am grateful that my path has taken me down this road. It has opened my eyes to the industriousness of so many people and has made me good friends with so many of them. My life is much richer for it and I am thankful for that. Because of those feelings, I am pleased to serve my fellow members of the NFA and I am grateful for the opportunity to put my skills and talents to work for all of you, with all of you. With the continued support of my wife of nearly 23 years, Elizabeth, and my 3 children, Asheley, Jonathan and Stephen, I am both excited and honored to serve as your NFA Secretary. Let me know what I can do for you! Mike is a self employed electrical contractor and has been for 30 years. He has wired up stores and warehouses for Northeast Fireworks; Fireworks Productions; and Kellner’s Fireworks. Mike began shooting fireworks at the age of 13. He has shot shows for Zambelli, Legion, Fireworks Productions and Grucci Fireworks to name a few. Mike has helped the past 2 years to shoot the New Years Eve Show for Grucci in Las Vegas. Mike has his N.Y.S. “Own and Possess” license and ATF high explosives license. He is a member of NFA, PGI, WPA, PPA. Mike owns along with John Sagaria 2 type IV and 1 type II magazines on his property. He has been active for the last 10 years helping to set up and shoot the fireworks at Kellner’s Fireworks demo each spring. Mike is a member of the National Fireworks Association’s safety committee and has served in this capacity for many years. We were shocked and saddened to lose Bob Blake on March 19, 2018. Bob was a founding member of the NFA and a Board member for over twenty years. Bob loved Fireworks, the Fireworks industry and Fireworks people. He will be greatly missed. Mingha- Rest in Peace. The story of Cam’s fireworks career starts back in 1947, when at the age of 11, he started his first fireworks stand with $30 and a workbench invested by his uncle. Not content with cornering the market on his street, Cam opened new locations as he matured, reaching a total of 27 fireworks stands by the time he was 19. At this point, Cam took a break from fireworks to serve in the Army. It was evident that cam was in the business for life, as he started negotiating stand locations on his way home from the service. After a successful career in fireworks retail, Cam was ready for his next big pyrotechnic adventure. In 1984 Cam sold his retail operations to open a fireworks manufacturing operation. He started with a partner producing single-shot tubes, inventing the oft copied naming convention of # 100, # 200, and # 300 etc.to denote the cost of manufacture, and the subsequent cost of retail. At the time, multi-shot cakes in the US were not extremely popular. Because of the 200 gram composition limit, cakes could not match the height, spread, or sound of a single-shot tubes on a board, which would heighten safety due to the increased base size, and the fact that only one fuse would have to be lit. The tubes would be fused together in succession, which made them operate exactly the same as if a person was lighting the tubes off one after another. Cam Starr forced regulators to relent and make more fireworks permissible in an environment where governmental agencies were becoming less and less tolerant of the pyrotechnic industry. Cam Starr stuck to his guns against the DOT, and knowing his legal stance was solid, took on a bureaucracy, making possible amazing fireworks devices for the masses to enjoy. Cam was truly a “One of a kind”. He was a guy that loved to sell. If you ever saw one of his Trade Show set ups in years past, you would know that with Cam it was all about getting someone over to talk with him and the sale. He would have key chains, flashlights, pens, etc., just in case you didn’t want to buy fireworks from him, he would sell you something. Cam also loved his fireworks industry. To Cam, fireworks are fireworks. There are classifications, but he always believed that it always came back to the art of entertainment. Cam always believed that 1.3G and 1.4G operators must work together for the good of the industry. Some of us can remember back to 1994 when we got a call from Cam. He had this idea that the industry needed an association that would help represent the small mom and pop operators in the business. About 14 of us met in Kansas City and thus began the beginning of Cam’s dream-The National Fireworks Association. He especially wanted a membership for the “friends of Fireworks;” he wanted the general public to feel like the organization belonged to them as well. Cam could always take center stage at a meeting and tell us the story of the young girl, 8 years old, who brought up her dollar and gave it to Cam for the NFA. Every time he told that story, he got chocked up and a tear would roll down his cheek. He was very sincere about his love for fireworks and his love for the NFA and its place within the industry. Cam Starr will be missed, his infectious smile and his total love affair with fireworks. Cam Starr will never be forgotten. Cam is the founder of the NFA, he is the father of the NFA and his name will always be remembered with the NFA. We will all miss him, but know Heaven has a fantastic new companion.